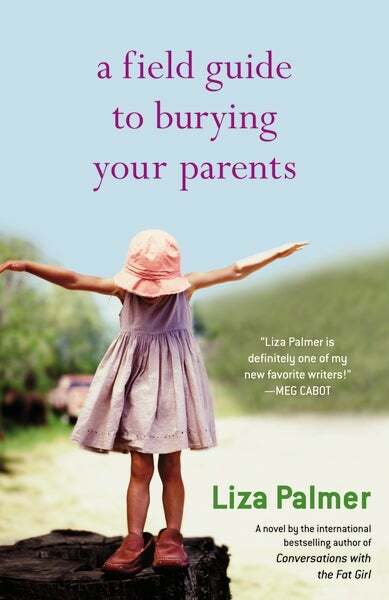 In Liza Palmer's latest novel, A Field Guide to Burying Your Parents, protagonist Grace Hawkes gets pulled back into her dysfunctional family despite her best efforts to escape. Full description and book preview after the jump! A Field Guide to Burying Your Parents's Grace Hawkes has not spoken to her previously tight-knit family since her mother's sudden death five years ago. Well, most of the family was tight-knit— her father walked out on them when she was 13 and she and her two brothers and sister bonded together even closer with their mother as a result. And need her they do, for inside the hospital walls, a strange war is unfolding between the pseudo-kindly woman who is their father's second wife and the rest of the original Hawkes clan. Upon reconnecting with her brother and sisters, Grace will find a part of herself she thought was lost forever. As they unravel the manipulative deception of the second Mrs. Hawkes, Grace will finally be able to stand up for her family— and to remember what a family is, even after all these years.